Royal Yacht, Cowes, July 20 - My dear Sister, I hope these few lines will find you well, as I am happy to say they leave me, thank God. I have been to Antwerp with the Princess Alice, and the 1st of September we shall have to take the Queen over to Antwerp; she will be away six weeks; then I shall be home to Pimlico. Eliza and the three children, and all of them, are quite well. I have a few old things of mine that you may find useful if I could send them. I hope you will not make yourself unhappy about Mr. Seeley's rent. I shall be home and let him have it when I get it; they keep us so long without it. I shall be in London on Wednesday. God bless you. I remain your affectionate sister, E. BELBIN. BELVIN, JAMES, BO'SON TO CAPTAIN (JOHN) GOW, the pirate. He had the reputation of being a good sailor but a bloodthirsty fellow. Was hanged at Wapping in June 1725. Yes, you read this correctly. 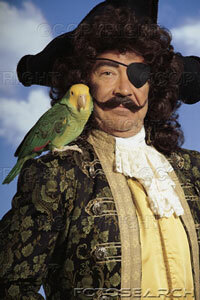 James BELBIN was indeed a pirate who by all accounts was a really nasty piece of work. He was boatswain on The Revenge (which was one of the ships the pirate Blackbeard commanded) captained by the famous Orkney Pirate, John Gow whose short but bloody career began in 1724 at the age of 26 and ended at Execution Dock, Wapping on 11th June 1725. John Gow's fame as being the leader of a notorious gang of pirates might well have remained unknown were it not for the fact that the journalist who wrote the story of his trial at Newgate was none other than Daniel Defoe, the author of Robinson Crusoe. An Account of the Conduct and Proceedings of the Late John Gow, Alias Smith. An Account of the Conduct and Proceedings of the Late John Gow, Alias Smith Captain of the Late Pirates, Executed for Murther and Piracy, Committed on the George Galley, afterwards called The Revenge; with a relation of all the horrid Murthers they committed in Cold Blood: As Also of Their Being Taken at the Islands of Orkney, and Sent up Prisoners to London. Some say Defoe's account is unreliable, perhaps embellished to suit his up and coming story-telling style. Others disagree, and some were inspired by the story. Sir Walter Scott's novel Captain Cleveland is a prime example as this novel was also based on Gow and his cronies. So, bizarrely, two of the greatest story tellers the world has ever seen have apparantly written about a pirate called BELBIN. The NEWGATE CALENDAR (originally called The Malefactors' Bloody Register) was originally a monthly bulletin of executions produced by the keeper of Newgate Prison but eventually became a bound volume published by two lawyers in 1826. Online versions can be found at Exclassics and The Univesity of Texas Law Library, and John Gow's story can be found in a ten page article at Exclassics but the execution date is mistakenly shown as 11th August 1729. James BELBIN weighs in on page 3. The Late Australian Artist, Phil BELBIN, who was a descendant of James BELBIN, the convict and emancipist, was one of the foremost international painters of transport themes. Among a lifetime of honours, he was elected a Fellow of the Royal Society of Arts, London; was awarded a Citation for Merit by The New York Society of Illustrators and had won a Gold Medal in the Fourth National Print Awards, Australia. Born in 1925, he lived on Cremorne Point, overlooking Sydney Harbour, from 1932 to 1942. With trams, buses and ferries at hand, this was a period of unrivalled fascination. His work was celebrated in 1993 with the issue of two calendars, the Sydney Tram and Bus Calandar and the Sydney Ferries Calandar. Both are sought after by collectors and are now quite expensive. 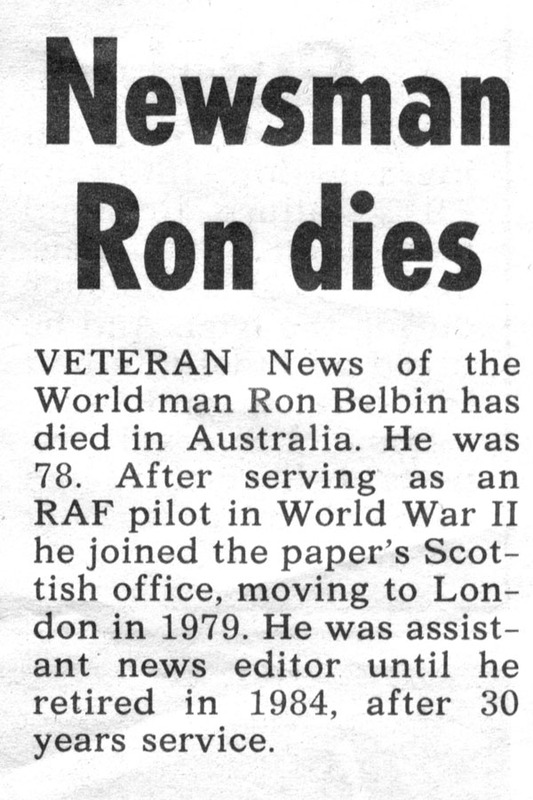 The JIMBOOMBA TIMES, a small country newpaper circulating in Queensland, Australia had a regular page called BELBIN'S BEAT containing chatty news items put together by ex-Fleet Street (London, England) journalist Ron BELBIN who sadly died in May 2001. Ron covered Scotland for the NEWS OF THE WORLD newspaper before moving to London as assistant news editor in 1978. He turned out scoop after scoop including the sensational inside story of love triangle farmer Maxwell Garvie murdered by his wife and her lover in 1968. Ron emigrated to Queensland in 1983.
pictured late in life was born in 1842, probably in Islington, Middlesex where she married Alfred Harker Vines in 1865. She was the Great-Great Grandmother of Gerry Howe who kindly provided the photograph and also the photograph of the sampler Jane made when she was only 8 years old in 1850. The sampler is proudly preserved by Gerry's family. Click on the thumbnails to view both photos in detail. The Parade until he retired to Weymouth, Dorset in 1924. Albert was well known for cutting lengths of lino on the pavement outside his shop. Albert was also a bit of a property developer on the side and sometime before the First World War built six houses in Bristol Road, Sherborne. He stipulated that the initials of the house names should be an acrostic of BELBEN and they still are - Buena Vista, Elmwood, Lyndhurst, Bracknell, Epworth and Netherleigh. (1815-1870) in 1857, and as his business was in Yeovil, Somerset, his son, Robert Henry Belben (1836-1902) moved to Sherborne to take charge of it. BELBEN'S ceased trading in 1924 but the premises are still in the family. The family tree will be on Belbinmania in due course.